As we always mention, WordPress is not just a platform for blogs, but its multifunctional features can make it a CMS, or a single niche based website-like blog. It is basically a content management system but you can play with it and tweak it to your comfort and the availability of plugins has made things pretty easier and WordPress has become the best platform due to that. The plugin that am going to share today is WPReviewEngine which is a plugin designed to make a review site with ratings within each review post, ratings from users as well as editors. This plugin has loads of options and so is the price, which is worth all those features that you see on the site as well as on the backend. Starting off with the basic information, the WPReviewEngine plugin can be used to make a review site about any type of product like web hosts, gadgets, services, hotels etc. Features of the hosting like Bandwidth, the disk space, pricing and availability of free domain etc. along with a thumbnail to the web host’s site. Apart from that, there is a summary of the review and a big button for the link to the web host site(where you can place the affiliate link which can be cloaked). All the above were the editor’s section, and beside this is a Ratings table, where the average of all the ratings given by the visitors and commentators is calculated and automatically displayed there in the Ratings section. And you can have your own fields in there like Reliability, Support, Features and Overall rating. This part has been quite challenging for me always with any big plugin that i try to use or review, but the installation documentation available along was quite helpful to show step-by-step details of how to install the plugin, set each and every option and make the plugin totally functional to setup the web hosting review site. CSV 2 WP – To import any wordpress database, which can be downloaded from the cpanel in CSV format. Link Cloaker – To hide the original affiliate links and replace them by decent links like the reviewsite.com/go/xxxxx.php etc. You can add new links or edit the present links. ReviewEngine – This section has the main settings, auto generation of comments, integration of google maps and also comparison tables along with the settings of positive/negative ratings of the products. Content Ordering: Order and sort the reviews in accordance to the rating, or the number of comments or in the default way as wordpress does. And you can sort order the post in ascending or descending order with the ratings or comments. Google Maps: One of the interesting feature of this WPReviewEngine plugin is integration and embedding of Google maps of the office locations of the companies which you are reviewing. This makes the review look more genuine and better. 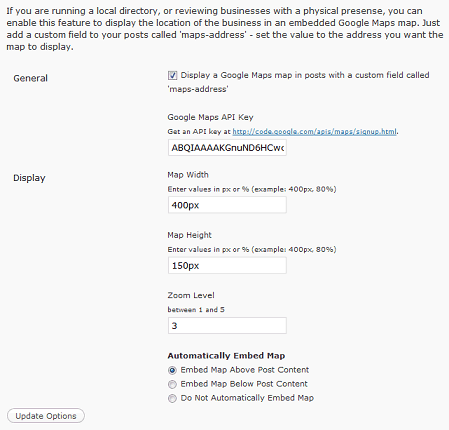 Just include the location and the plugin automatically pulls the map with the location in the center. Importing comments: Comments with random names, random text and dates would be pulled in if you wish to get your reviews seem more active. This is helpful when your site is still new, and people just don’t trust that your site is worth commenting on, and sharing thoughts with other readers, until they see some already posted comments. Comparison table: This setting is to show a table comparing the best products which got the highest reviews or positive/negative ratings and this table can be shown on the top of the wordpress loop or on the top of each category. Cloaking the affiliate links: Direct affiliate links look odd and usually people install separate plugin to cloak the affiliate links and share them in their posts, but the WPReviewEngine plugin has it within its panel and you can add unlimited number of links, edit them anytime. The cloaked links go to any sub folder under the root of your directory. Free themes: The plugin comes with 2 beautiful clean themes which work pretty well with the plugin and makes the site look far professional, but still the plugin is not limited to work with just these themes but it can get well working with any other 3rd party theme that you install. WPReviewEngine uses the built-in WordPress Custom Fields feature, which is probably below this box. To have a custom field detected by WPReviewEngine, precede the name with two dashes. For example, if you want a custom field called Price, enter –Price into the box. Go to the Custom Fields section and use it for the Ratings section as explained in the beginning of this post. The WPReviewEngine plugin is a paid plugin which costs $80 for a lifetime license for single website with lifetime support, but it actually is worth more than the price. Setup a web host review website and you can easily earn with the affiliate links and you get the money back for your plugin but you keep earning in future. I am not sure already but the website says that the plugin works well with the All in One SEO Pack plugin and so its totally SEO friendly and would work totally great for niche affiliate bloggers. There is also a money-back guarantee within 30 days if you are not satisfied, but i feel you won’t have a chance to go with any complaints as it works great and integration with the theme given makes it look perfect. It costs $79.95 for lifetime license for a single website, and the same for unlimited number of websites costs $149.95. For a limited there, there is a coupon code which you can use to get 20% discount during checkout and that’s “v2release“. Check the demo of the plugin at web hosting review site. Check the website at WPReviewEngine! It looks clean and differentiates everything easily! A very constructive review. Thanks for letting me know. I am into affiliate marketing business and had used WPReviewsite plugin which was also good, but this plugin looks very nice too. The demo you made by working with the plugin also looks fine, and proves right about it. Thanks for the review again. Might consider buying a license very soon. This plugin can not be free with all the features, and a single plugin changes the external appearance of whole blog can show its strength. 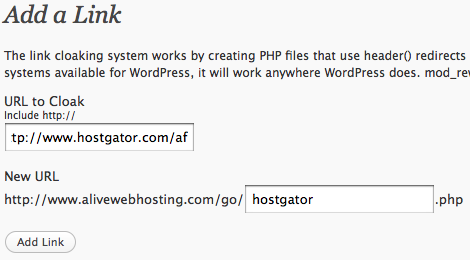 I am wondering what differences one might see between this plugin and wpreviewsite plugin. I wanted to know because anyone can get mistaken and fall in confusion when they need to decide between the two plugins to buy one. It would be great if you could list out any differences between Wpreviewsite and Wpreviewengine plugins anytime to make things easier. I have not fully tried the Wpreviewsite plugin and if i do so in the near time, i would be surely posting about the differences between usage of both the plugins. Does anybody have an idea on how to get the dummy content i.e the Top Hosts content as content once the template is installed ? It would be excellent to examine the content and reverse engineer it so we now exactly how it works, thanks. I am just making a blog similar to this. If you permit, I would want to use some of your content. And with full refernce of course :)Thanks in advance. Good review thanks for letting me know about this plugin. I’m a MyReviewPlugin user in Canada and I wanted to let you know that MyReviewPlugin comes completely unencoded. There’s no encoded license file at all. A pretty construction review of the plugin, and a real good one. The plugin looks good with many options that can make a complete review website. Being paid is what can make one think, but what else would they need when so much is available.